We can’t lie, our favourite time to visit Sydney has always been in summer when we can enjoy Sydney’s beautiful beaches and spend a lot of time outdoors. Sydney is so pretty in summer. But visiting in winter is not exactly a bad thing, it does have some advantages such as fewer crowds and lower prices. And yes, it also turns out that Sydney has many great things that you can do to pass the time in winter! From May through to October, thousands of humpback whales migrate north along the New South Wales coast, heading to warmer waters in order to give birth. Along the way, they can be seen frolicking in the waters outside of Sydney Harbour. The best way to see some of these whales is to take one of the many whales watching cruises that depart from Circular Quay or Darling Harbour. 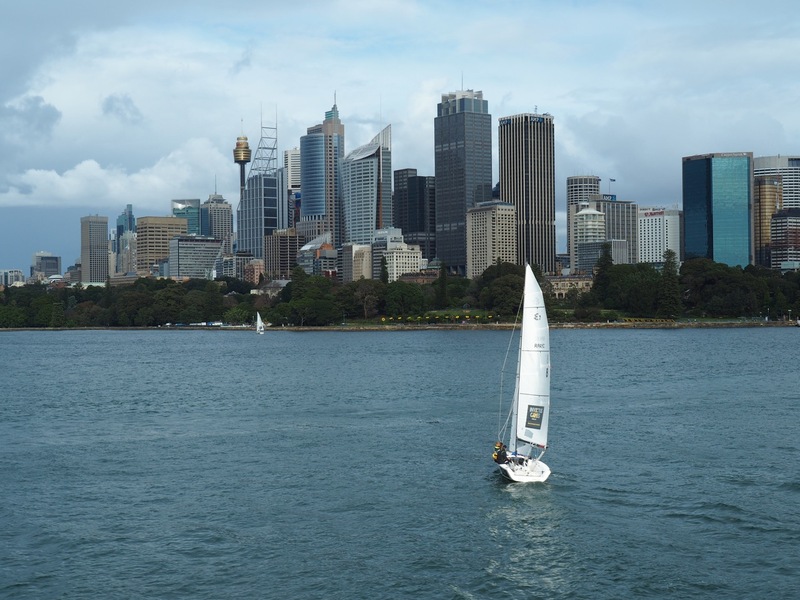 Not only you will get to enjoy the beautiful Sydney harbour but you are very likely to see some whales and their calves enjoying themselves in the open water. 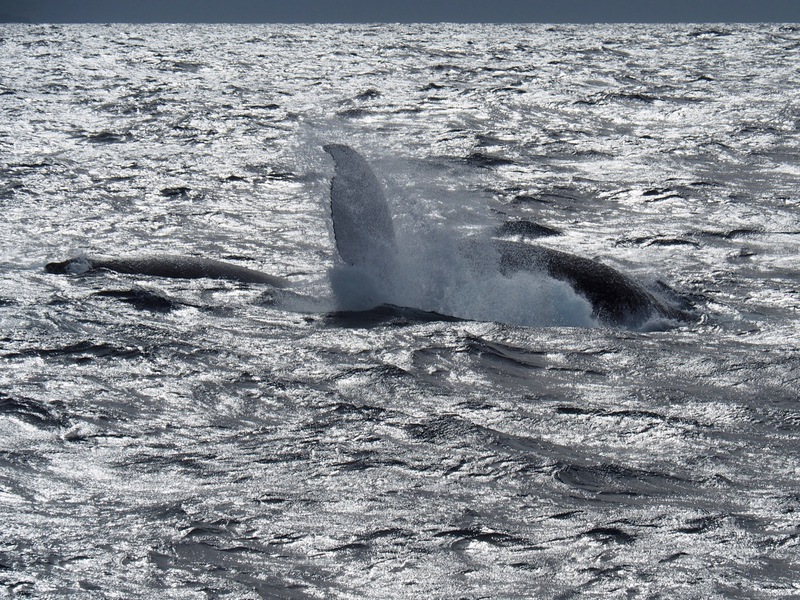 If you’re lucky you’ll even get to see them breach which is an amazing sight. This is an unforgettable experience and not something you get to see every day! A humpback whale playing in the harbour. 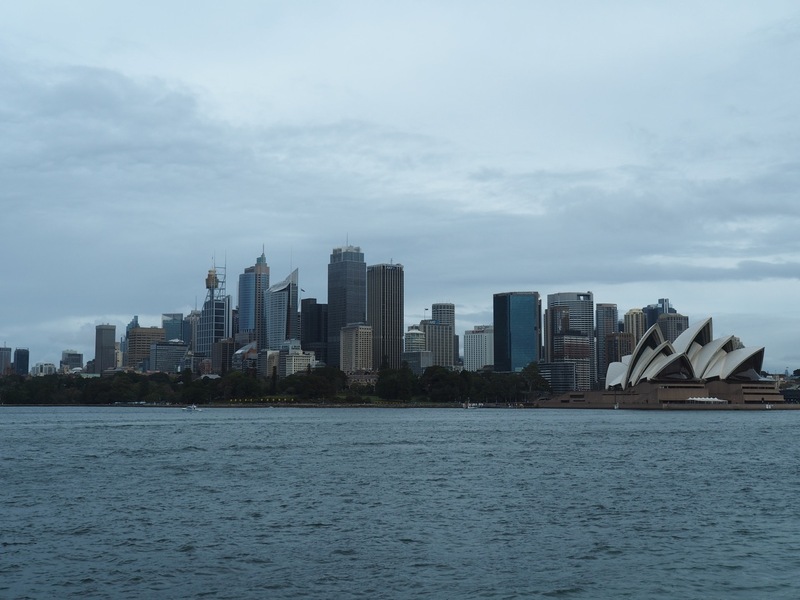 Sydney’s amazing skyline from the cruise. 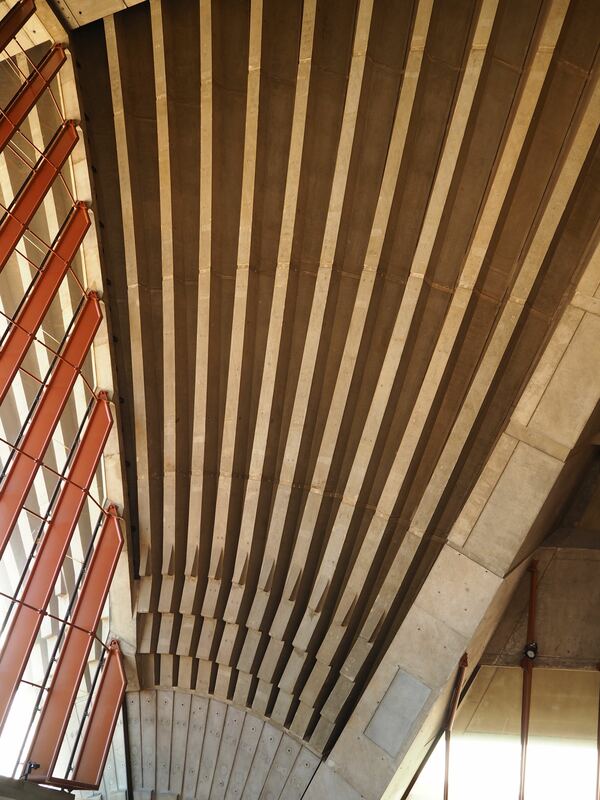 The World Heritage-listed Sydney Opera House is the first stop for many visitors to Sydney. You can’t go to Sydney and not see this iconic landmark, right? Not everyone ventures inside but winter is the perfect time to do so. 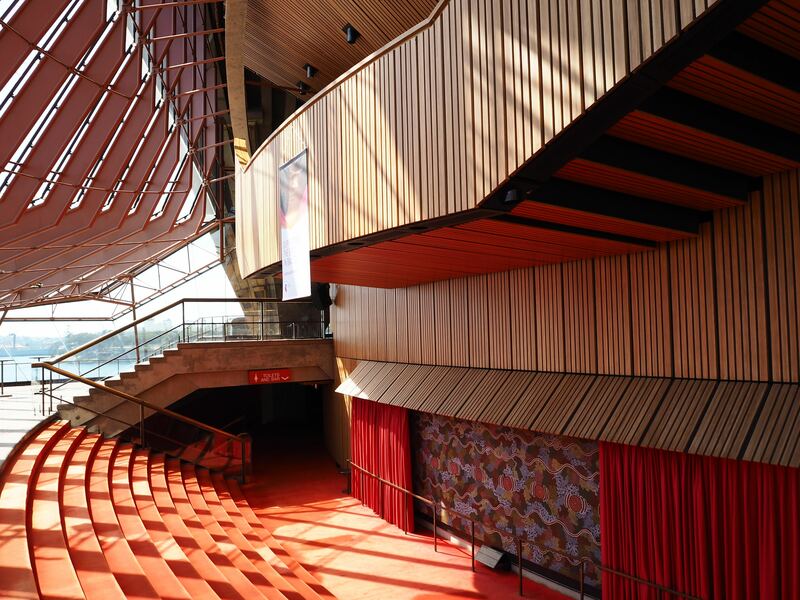 If you think the outside of the Opera House is impressive then you should definitely head inside and check out the interior architecture as well. It’s an iconic building that has really stood the test of time. Tours are conducted daily and cost $37 a head (it’s not a cheap attraction), but you will learn all about the history of this world famous building. The magnificent ceiling of the Opera House. Harbour views from inside the Opera House. 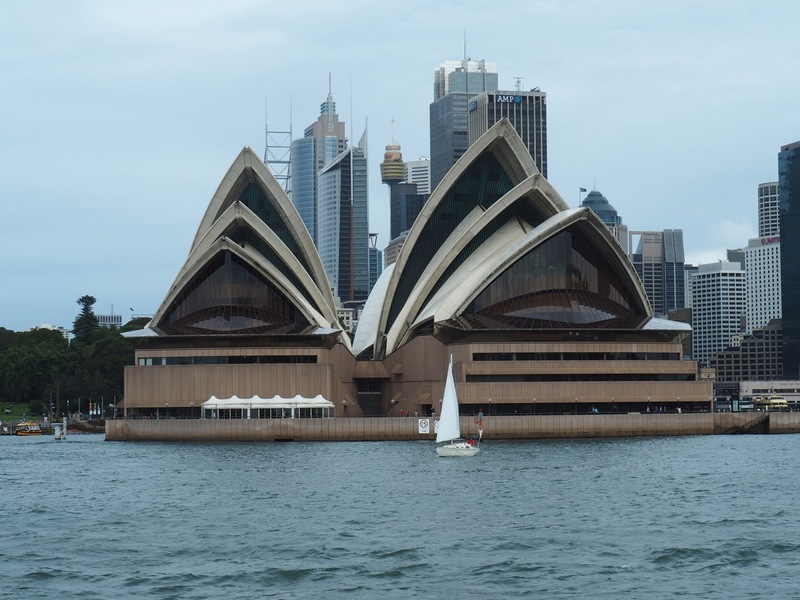 The outside of the Sydney Opera House as seen from the harbour. One of Sydney’s biggest winter events is the Vivid festival. For twenty-three nights starting at the end of May, the Vivid Festival of light, music and ideas brings Sydney back to life. It Illuminates the city with stunning lighting displays projected onto some of the city’s most famous buildings such as the Opera House and the Harbour Bridge. What started as a small festival to get Sydney-siders outside in the cold weather has now become one of the most popular festivals in Australia, with over two-million visitors each year. It’s definitely a great reason to visit Sydney in winter! The Sydney Opera House during the Vivid festival. Organic Vibrations over the Museum of Contemporary Art during the Vivid festival. The iconic Harbour Bridge all lit up for Vivid. 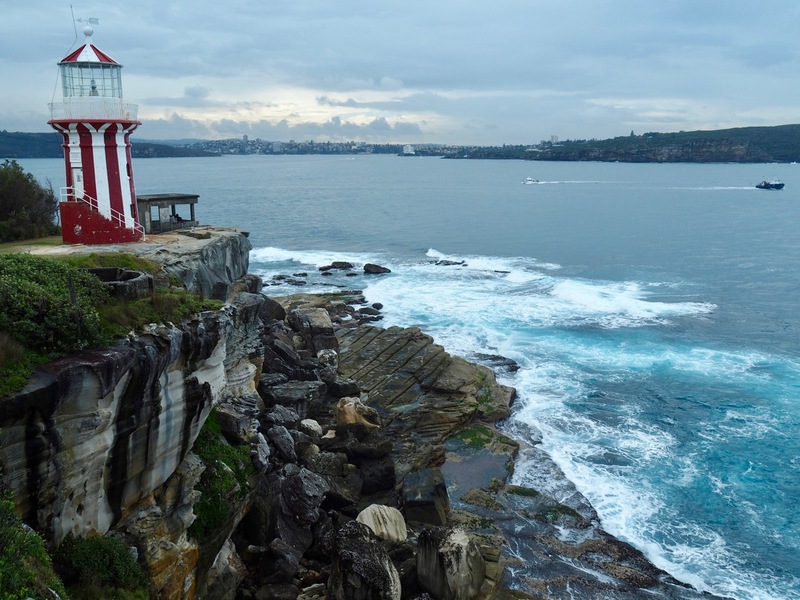 Brave the outdoors and go on one of Sydney’s many coastal walks. You may not be able to swim at the beaches but they still look pretty spectacular in winter. Watching the wild sea crashing against the rocks is a stunning sight. If you like watching surfers in action, winter is a great time with some very daring waves! All you need to do is rug up. On a nice sunny day, Sydney’s coastal walks are highly enjoyable. 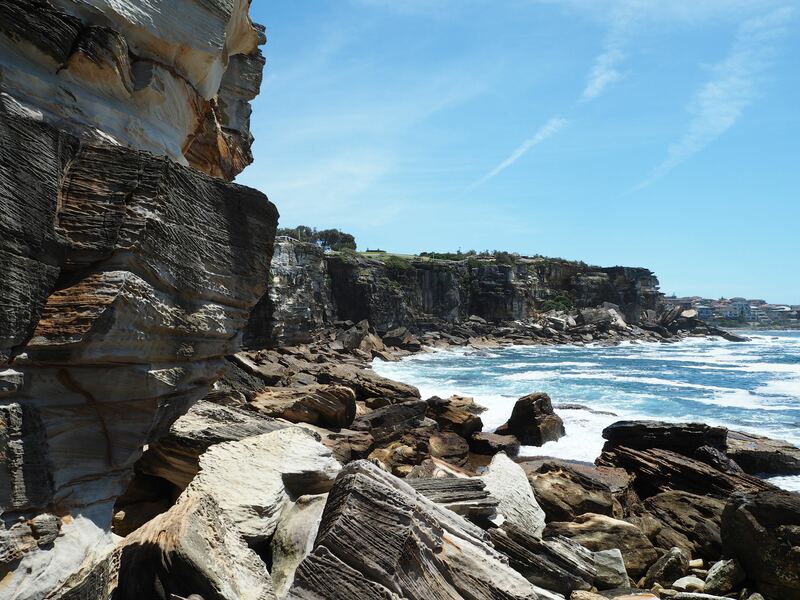 My favourite coastal walks are the South Head Heritage Trail in Watson Bay and the Bondi to Coogee coastal path. Those two are stunning in either summer or winter but in winter you might even see some whales breaching off the coast. If you own some, bring binoculars! The view from South Head Heritage Trail. 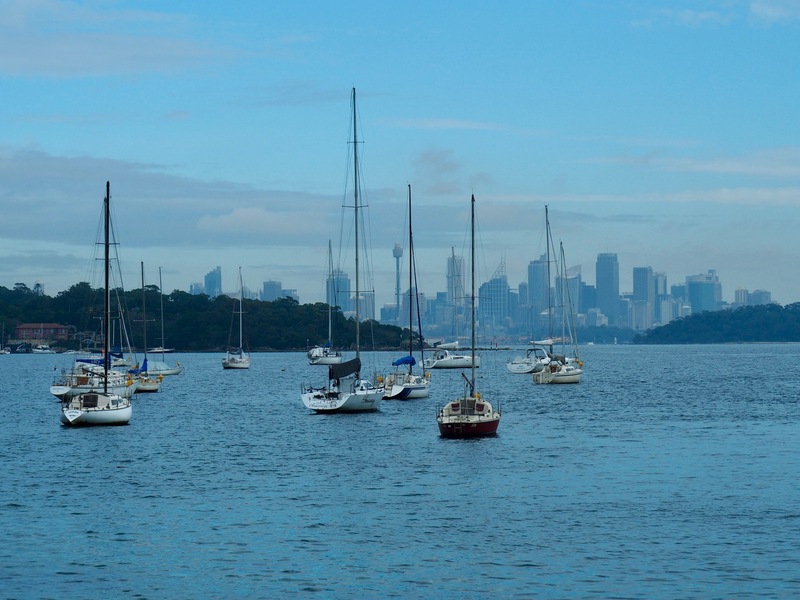 The view of the CBD from Watson Bay. Beautiful coastal views from the Gap. 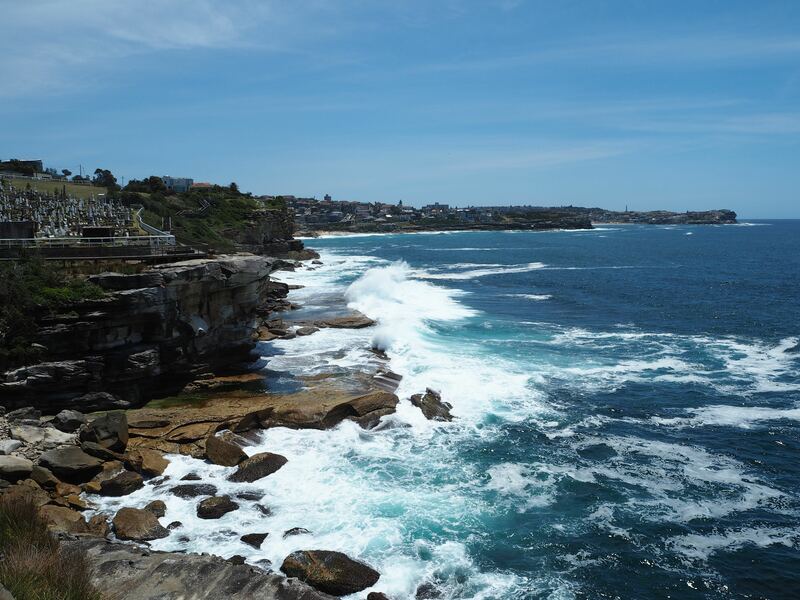 Stunning coastal views from the Coogee to Bondi Coastal walk. 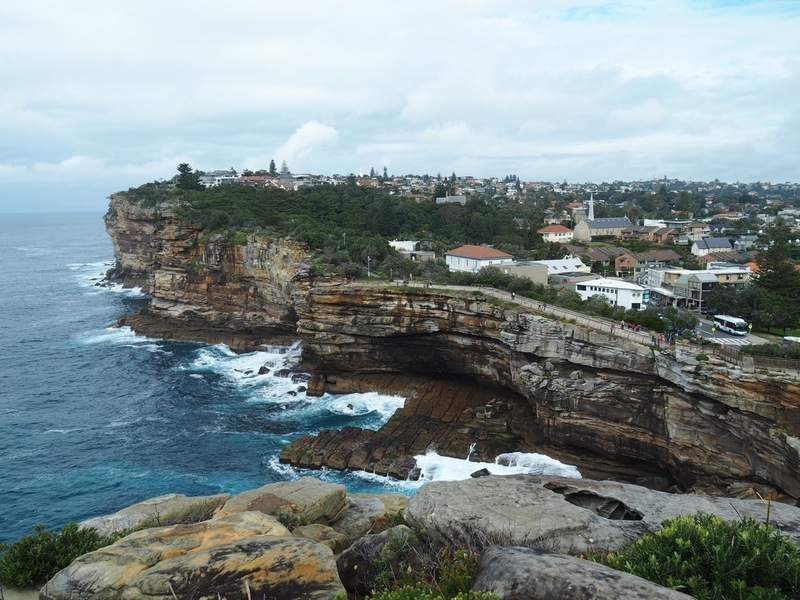 More beautiful views from the Coogee to Bondi Coastal walk. This one is better on a sunny day but even in winter, Sydney gets a lot of nice days! 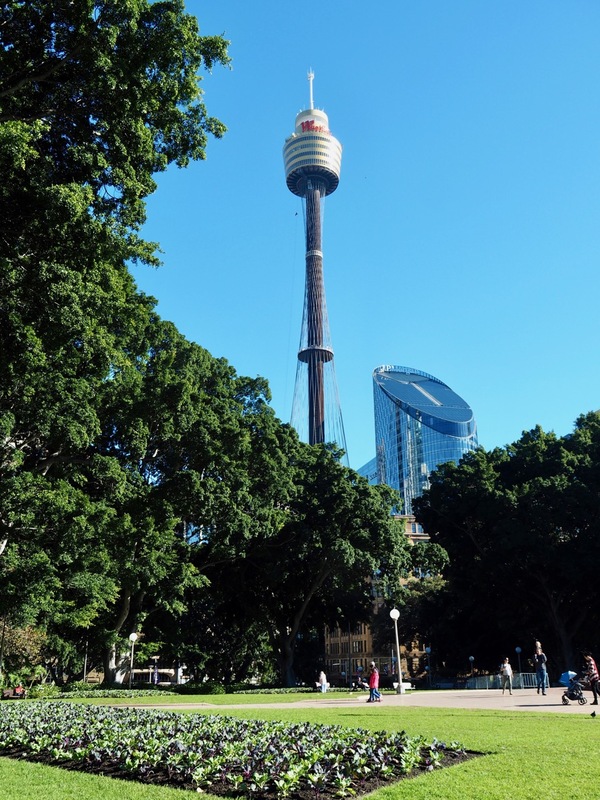 At 250 meters tall the Sydney Tower is Sydney’s tallest structure and the second tallest observation tower in the Southern Hemisphere. The panoramic 360-degree views of the city from the observation deck are exhilarating and well worth checking out. If you’re not scared of heights, sign up for the Skywalk for a forty-five-minute outdoor walk around the top of the tower. 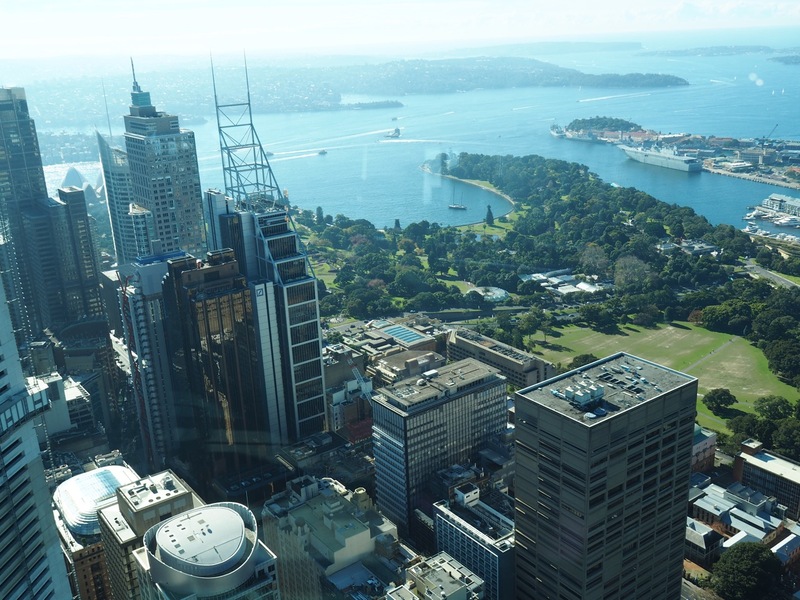 The view of the Eastern Harbour and Botanic Gardens from the Sydney Tower Eye. 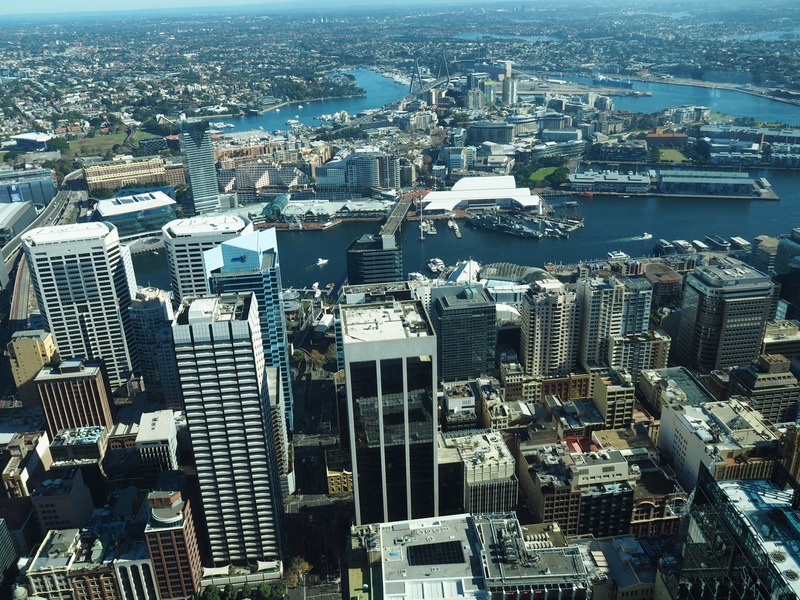 The view over Darling Harbour from the Sydney Tower Eye. Cost: AU$28 per adult (Observation deck only, Skywalk is extra). If you already know what day and time you’d like to go, book online for a cheaper rate (AU$19.60). 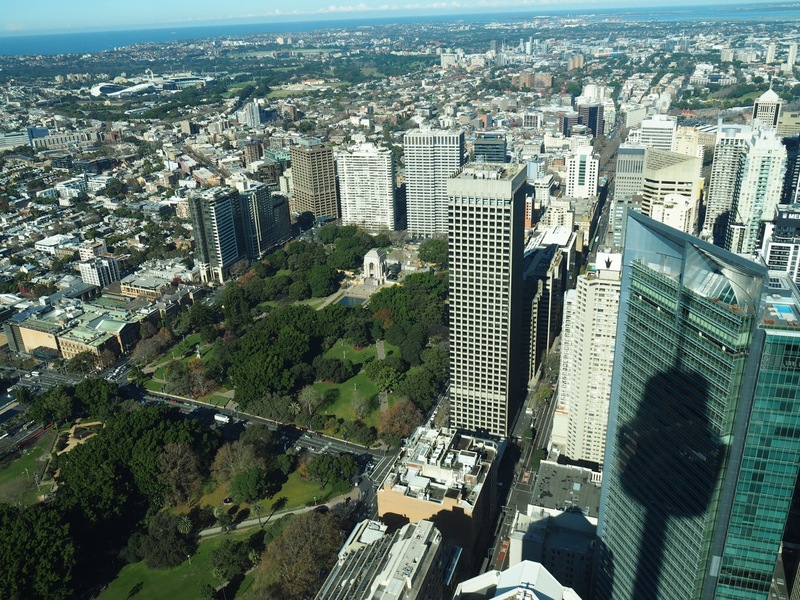 The view of Hyde Park from the Sydney Tower Eye. 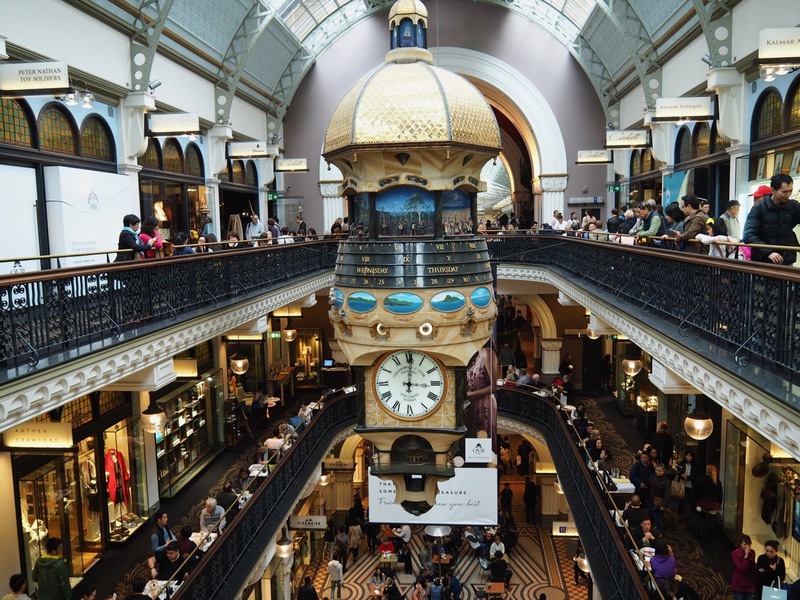 The Queen Victoria Building (also called QVB) is Sydney’s most famous and prestigious shopping centre. Built at the end of the nineteenth-century by architect George McRae, this building is huge and occupies an entire block with over one hundred and eighty designer boutiques, high-end jewellery stores, expensive chocolate shops, cafes and restaurants. If you have the money you could spend hours shopping there. If not it’s worth a visit just to admire the splendid architecture with its dominating centre dome and sublime stained glass windows. My two personal favourites are the Royal Clock and the amazing Great Australian Clock. The Great Australian Clock inside the Queen Victoria Building. 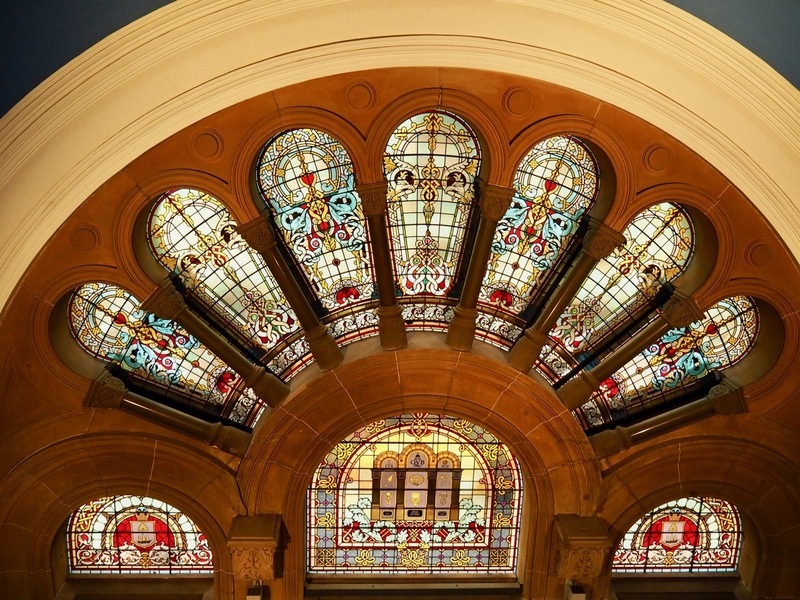 If you happen to venture out on a rainy day then there is no better way to spend the day than to visit one of Sydney’s many museums. Sydney has so many to choose from, whether you are into history, culture, art or science etc. There is something for everyone and all age groups. This is the oldest museum in Australia. It houses a massive collection of natural history exhibits, Australian wildlife exhibits and cultural objects from around the world. It is also the home to ten dinosaur skeletons which will keep the kids entertained! 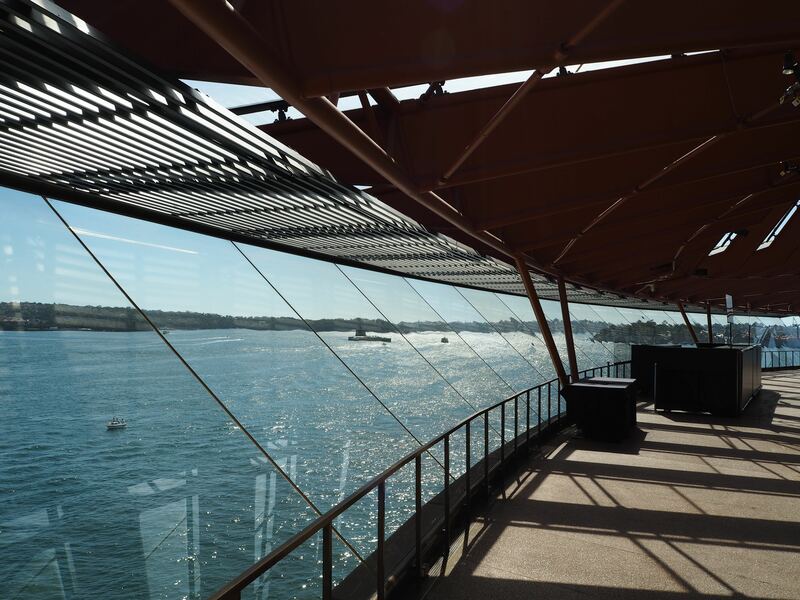 This museum offers excellent exhibitions, works of art and some remarkable Opera House and harbour views. And the best part, it’s free to enter! Visiting Paddy’s Market is an experience in itself! The hundred and fifty years old market has two locations, Haymarket and Flemington. With over a thousand stalls, they will keep you busy for hours. You can find pretty much everything there, from tacky souvenirs, clothes, cosmetics, crafts, mobile phone covers, fresh fruit and vegetables. Make sure you bring some empty bags as you will no doubt fill them up with your many purchases! And since it’s mainly indoors, it’s perfect for a cold or rainy winter day! 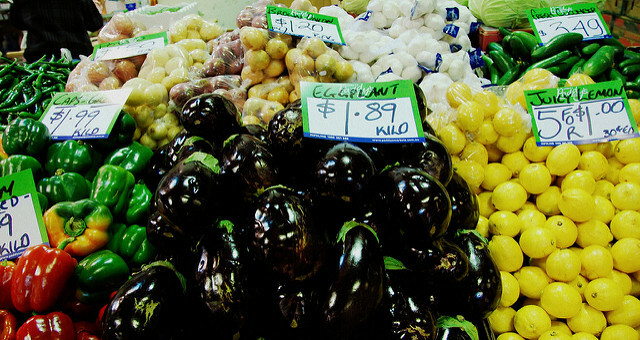 Fresh veggies at the Paddy’s market. Photo by LWYang on Flickr. Have you always wanted to climb the famous Coathanger? Well, winter is the time to do it. Every weekend in winter (from July to August) there is a twilight climb that includes a live music performance at no extra cost! Not only you will get a brilliant sunset with vibrant shades of pink, purple and red, but you’ll also get some lovely tunes to accompany the view. The climb to the top of the iconic Harbour Bridge. Are you worried that winter might be too cold to attempt the bridge climb? I wouldn’t worry; I promise that you’ll warm up quickly while climbing the 1,332 steps to the summit! 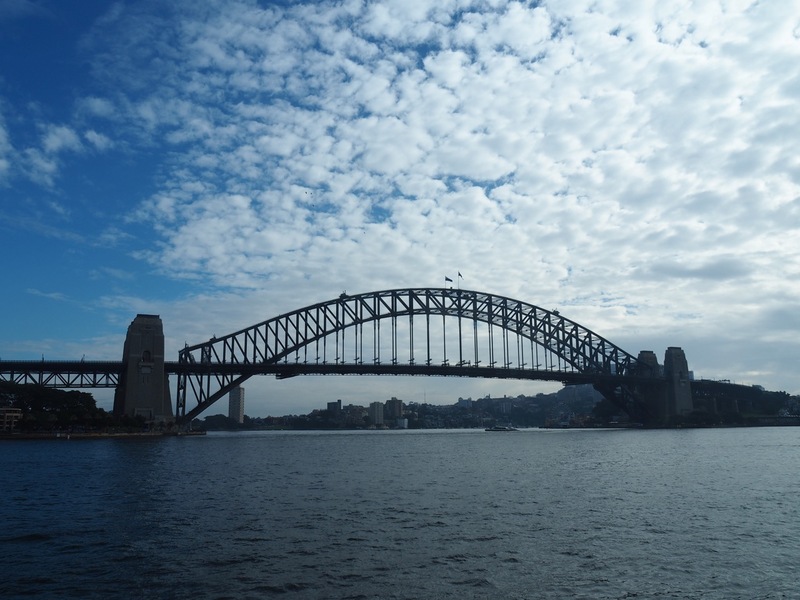 The iconic Harbour Bridge on a cloudy winter day. 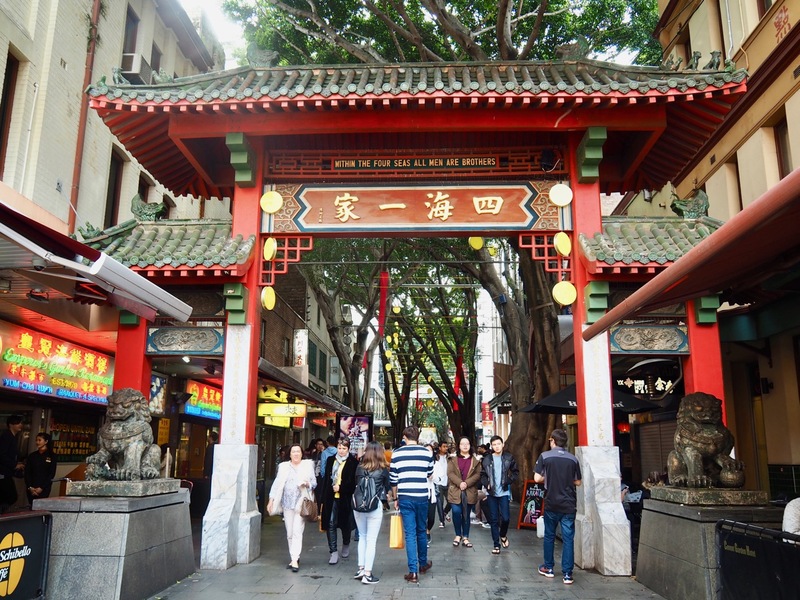 Sydney is a multicultural city which is packed with culinary delights from around the world. So if like us you like to try different cuisines, Sydney is a great place to do it. Try Yum Cha in Chinatown, Pizza in Haberfield, or Rice Paper Rolls in Cabramatta. Or you can take a Gourmet Safaris tour that will introduce you to some of Sydney’s best suburbs for international cuisine. So as you can see, you are unlikely going to be bored in Sydney, even in winter. It is a pretty amazing city with so much to offer all year long. In fact, if you visit from the Northern Hemisphere you may find it hard to believe that it’s even winter! The weather remains pretty mild, and even when it’s a little cooler the sun is quite often shining which helps warm you up. 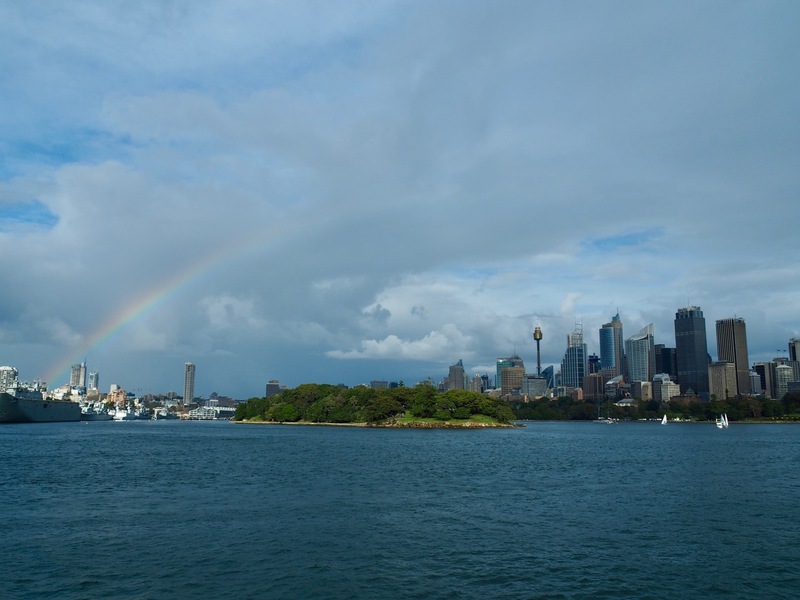 What is your favourite season to visit Sydney? 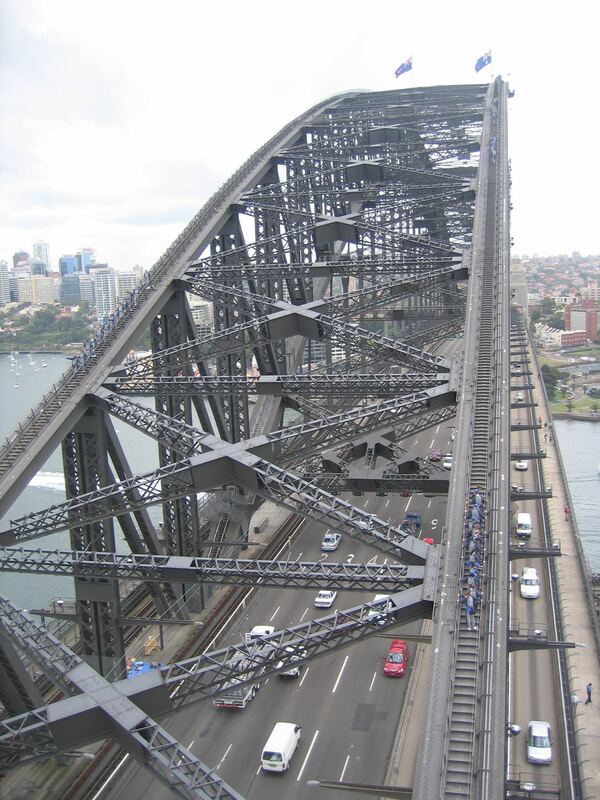 I was there two year ago and regret not having done the climb of the Harbour Bridge but I’m keeping it for my next time for sure!! You are welcome Chloe, glad you found those tips helpful. I’m so glad that you mentioned VIVID – it’s my favorite time of year in Sydney! Such an energetic and lively atmosphere, and it’s so much fun to walk around and explore what the creative community has come up with. The Harbor Bridge Climb was also a favorite of mine, I’ve done it both during the day and at night, and would probably say the evening / dusk was my favorte time to climb – such a beautiful view looking down onto the harbor and having the skyline glittering in reflection. Thanks Megan, Yes Vivid is spectacular. We loved it and hope to go again next year! And I agree the view from the bridge is worth the effort. The harbour is so beautiful and seeing it from above is the best. Great tips. I was there several years ago and missed so much. The heat wore me down! Loved the Opera House and sunset from that area. Wish we’d hiked around Bondi a bit more. That cliff area is stunning. Thanks Elaine, You wouldn’t have a problem with the heat in winter as it is cooler during that time but not as cold as Melbourne. So still a great time to visit. Yes the coastal walk from Bondi is breathtaking, I agree. I like that Sydney seems really vibrant and lovely all year long. These are really interesting things to do. Hi Karla, Yes Sydney is a great city with heaps to do all year round. So you can’t get bored! Hi Cat, yes it’s nice to enjoy a city without the crowds.